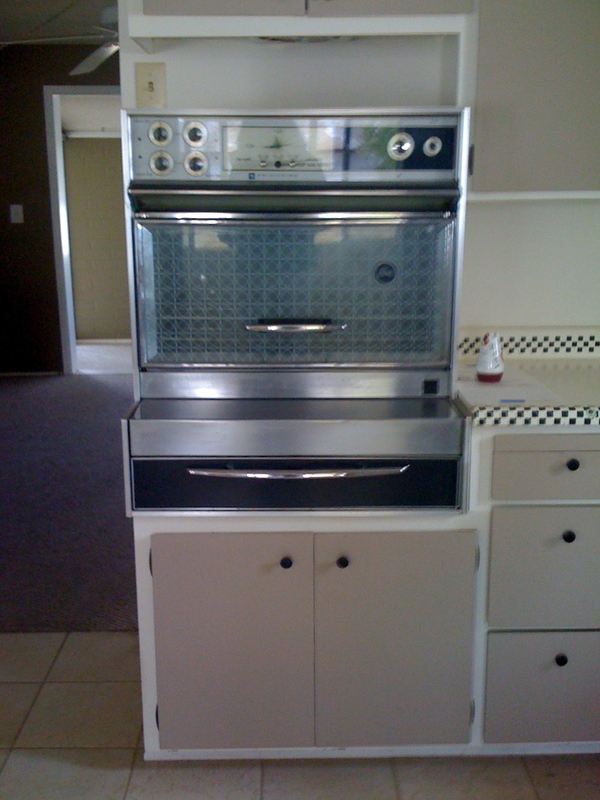 This wonderful (working) oven was in a foreclosure property built some time in the mid-late fifties. My buyer was looking for something cheap, which this was. He didn't end up offering on this house because he didn't want to have to deal with "a whole kitchen renovation". Thank goodness. I loved the pull out burners, what a space saver in a small kitchen! A built in bookcase in a 1952 foreclosure (sorry it's crooked!) You can't see it in this photo, but on the bottom there is a fifth louvered door on the side of the piece that opens up to a small storage space. I'm not sure what this was used for but it's a neat little detail. Here's a fireplace in the castle from yesterday. The picture doesn't do it any justice and doesn't really show how HUGE this thing is. This house is also built about four feet underground which is why the windows are so high up. As a side note, the day I was in this house it was 90+ degrees outside but inside was probably closer to 70-75. As a foreclosure, there was no electricity, hence no a/c, it's just that well built. I can tell you that homes built more recently will be almost the same temperature inside as outside if there's no electricity on. I trudge through those saunas regularly. Here's a door knob from the fantastic 1968 ranch I was teasing you with yesterday. I promise I'll show more eventually...and it will totally be worth it! Here we have an intact, original window in the dining room of a 1952 home. Lots of natural light in this home without there being direct sunlight heating up the place. The built in bookcases in the same home, I love the trim details! 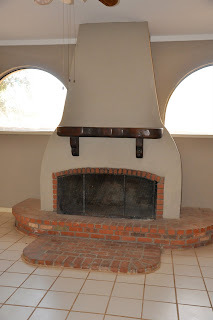 That's just a few of the types of details that can be found in these vintage homes. As a Realtor, I love the charm these homes exude. To me they are an easy selling point. But I do cringe every time I hear someone say they would "update", "renovate" or "remodel" a retro home if they bought it. I try to suss out their opinion on vintage before I take them out the first time. That way, if they aren't somebody who appreciates the originality of this type of home I will usually show them homes that have already been "fixed' that way the damage is already done.